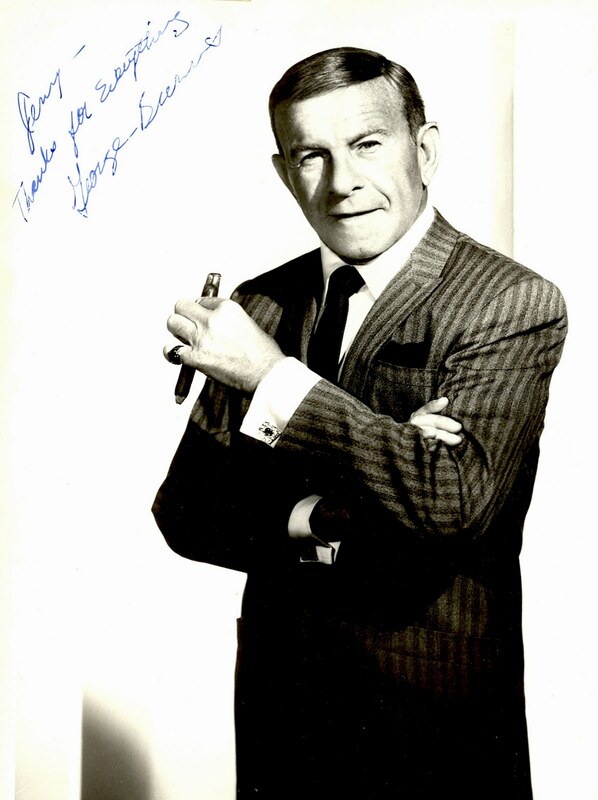 George Burns’ career in show business arguably has no parallel. It took the deaths of the two people he loved the most—wife Gracie Allen and best friend Jack Benny—to provide him with opportunities to succeed strictly on his own. And he made the most of these, becoming for 20 years, from age 78 to 98, one of the most celebrated personalities nationwide as a comedian (make that “humorist”), actor and author. When asked about retirement, his answer inspired more than just a few senior citizens: “Retire? Retire to what?” or “Do what, sit around and trim your cuticles?” He was active to age 98, when a very serious fall basically sidelined him for the last two years of life at age 100. Except for the fall, he would surely have lived across three centuries. Burns (officially Nathaniel Birnbaum) was born in 1896 in the lower east side of Manhattan, one of the most abysmal slums in our history. Millions of immigrants, mostly refugees from pogroms and planned exterminations in the Russian Empire, including Poland, and Romania, were jammed together. Some made it out during their lifetimes, venturing into the Bronx and Brooklyn. There was a widespread saying of the advancement pattern in the U.S., “From the lower east side to Scarsdale in three generations.” Burns made the equivalent in two generations. He always loved show business, although by his own admission, he was not very adept at it for many years. Even his supportive mother admitted, “On stage, Nattie acts like a relative got him the job.” As a solo comedian or with a partner, he would change his stage name constantly, often after being fired from one job after another. The lower east side was no place for the faint-hearted. Burns said he could easily have taken up with Jewish gangsters, who were prevalent even before Prohibition and the likes of Meyer Lansky and Bugsy Siegel. But, partly by luck, his persistence and travels in show business brought him a better path. Gracie Allen was an Irish dancer, with incredible timing for comic routines. When they teamed up, Burns saw quickly that she did much better than he with humorous lines in a script. After starting as the comedian in their act, he did so much better as the straight man, who fed her lines. Gradually, they evolved into the pattern of Gracie’s illogical logic. George acted as manager for their act and script writer, and shrewdly saw how to use Gracie’s considerable talent to the utmost. For example, when Burns ended their act by, “Say goodnight, Gracie”, she would end by “Goodnight, Gracie.” After all, that’s what Burns meant, wasn’t it? They made the top rungs of vaudeville, although not Broadway. In the 30s, they started in radio, first as guests, and then with their own show in 1932. In the late 30s, they made several movies, which were successful, if not blockbusters. Along the way, they moved to California and Beverly Hills. By 1941, Burns was concerned about their steady ratings drop. He saw that their radio scripts often had them acting like twenty-year olds, even though audiences knew they were in their forties and married to each other. Burns solved the problem by adopting a situation comedy format for their radio shows, which lasted through television in the 1950s. Burns and Allen had a successful TV series from 1950 to 1958. During the last seasons, Burns made a very popular move by inserting himself as a seated viewer of the TV show itself, and commenting to the viewers at home. When Gracie started to develop heart trouble, Burns reluctantly ended the series. By the early 70s, in Burns’ words, he “wasn’t particularly in demand career wise.” But then, his best friend, Jack Benny, became ill and, as it turned out, terminally ill with pancreatic cancer. Burns was heartbroken. He had always played mean tricks on Benny, but as he emphasized, only because Jack for some reason loved them. “Jack was always my best audience” as he said numerous times. The movie, “The Sunshine Boys” was based on a Neal Simon play about two vaudeville partners who had a falling out. Benny was due to play one of the roles, and now the slot of Al Lewis was offered to Burns. Although at first hesitant, Burns was at his best in the movie and won an Academy Award for Best Supporting Actor. George even made several albums, which were reasonably successful. But he had real success as an author. He joked, “For a guy who only read three books in his life, my writing 7 or 8 is quite an accomplishment.” He wrote about his early vaudeville days, one about a series of advice answers to questions (in “Dear George”, with answers supplied by Burns and a team of writers), one about his best friends and colleagues in show business, and one, finally, about Gracie herself. About the latter, Burns said, it gave him so much comfort he’s amazed he didn’t do it years before. He still appeared in nightclubs and Las Vegas, as a single. Now, in his 80s, he knew how he needed to address audiences, and no one ever suggested a relative got him the job. Make no mistake, Burns could be quite raunchy, in parties with his friends and Friars Club roasts. But this was never his style when performing. I never got to meet George Burns, but was quite close to him, when he was performing in Atlantic City, the year 1987, his age, 91. As I had done several times, I took a helicopter from Manhattan, which landed directly on the Boardwalk, bypassing Atlantic City’s forgettable airport. I came to see shows, not to gamble. For George Burns, in the high roller’s section, there was one last minute empty seat, and it got offered to me. This was right up front, a great seat, and if management knew what a low roller I was, they would have been upset. 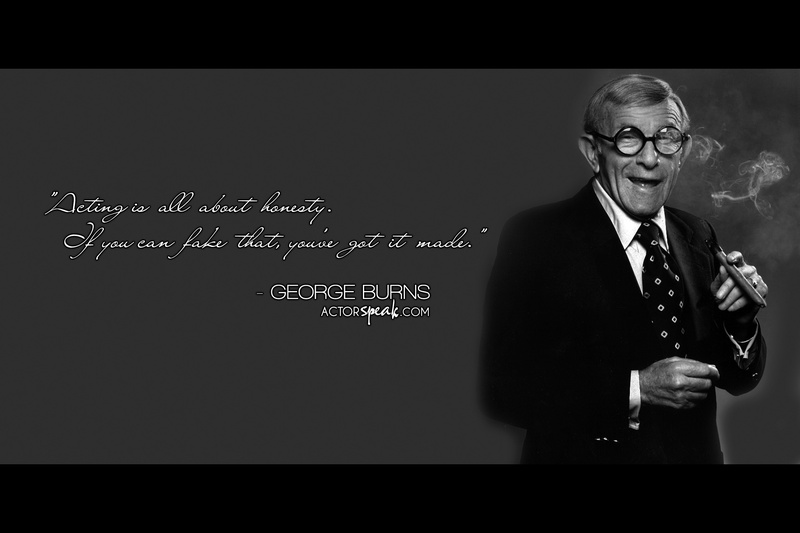 George Burns came out and did a one act solo, stand up, for almost one hour. When he came on stage, he got a standing ovation. His reply was, “Normally, a performer only gets a standing ovation when he’s done. You must be afraid I’m not going to last through my act.” His timing, with jokes and songs, was impeccable. Even when you mostly knew what punch lines would be, you still laughed. 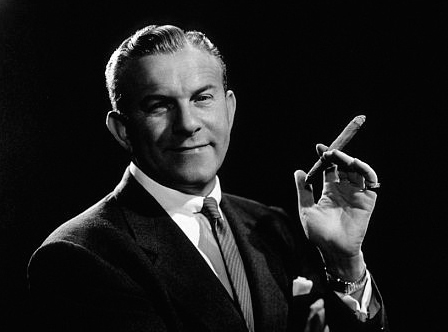 I’ve been to a considerable number of live performances, including those of many show business greats, but this solo by George Burns will always rank as one my favorites. Burns had a contract to perform at London’s Palladium on his 100th birthday. But because of his fall at age 98,everyone knew that he couldn’t go on stage any more.